Home → Vape Deals → Cheap eJuice → Om Vapors 30ml Sale! From Only $1.50! During the Om Vapors 30ml sale right here, you can get 30ml bottle starting at only $1.50! No coupon code required! Free domestic shipping at $40, and free international shipping at $100! That’s savings up to 85% off! During Om Vapors Sale, you can get a 30ml bottle starting at $1.50! No coupon code required! Om Express bottles are only $1.50, Om Origins and Reincarnation lines are only $1.50, and Om WTA’s and Fayette Reserve bottles are only $2.99! Om Vapors has a ton of gourmet flavors available, so no matter what you’re favorite flavor profile is, they got you covered! In addition, all of their e-juice are max VG, so you’ll be getting excellent flavor and vapor production! Lastly, they do offer nicotine strengths up to 9mg! If you haven’t tried Om Vapors, November is the perfect time to give us a shot! 30 Ml bottles are only $1.50 you can mix and match different flavors or stock up on your favorite profiles! At $1.50 a 30 ml you can try 120 ml’s of new juice for only $6.00, once we sell out 30 ml bottles will be gone forever! Om Vapors was founded in 2014 with a simple mission, offer people an alternative to combustible cigarettes. All of our flavors are crafted meticulously in a clean laboratory environment using strict quality control. We off Whole tobacco alkaloid e-liquid for those wishing to make the transition to alternative products easier as well as standard USP nicotine. We also avoid flavors packed with diketones and all flavorings and nicotine are sourced through European and American Suppliers. With that being said, when shopping with Om Vapors you can truly “Breathe Easy”. 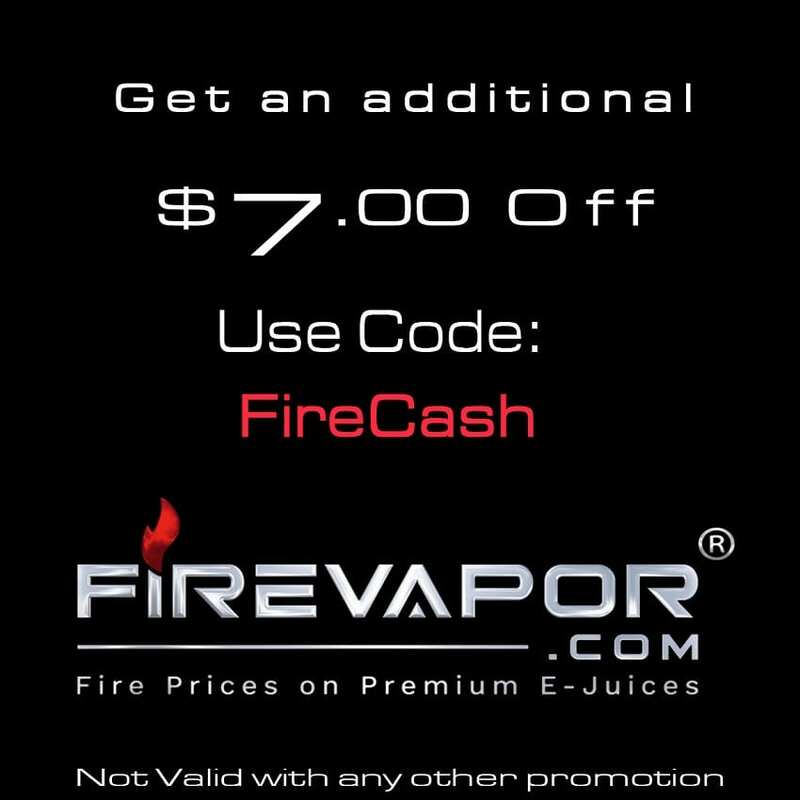 All in all, this is a excellent e-juice sale! If you are looking to try out some Om Vapors e-juice for cheap or simply looking to stock up on some new flavors, then this is a deal you cannot miss! 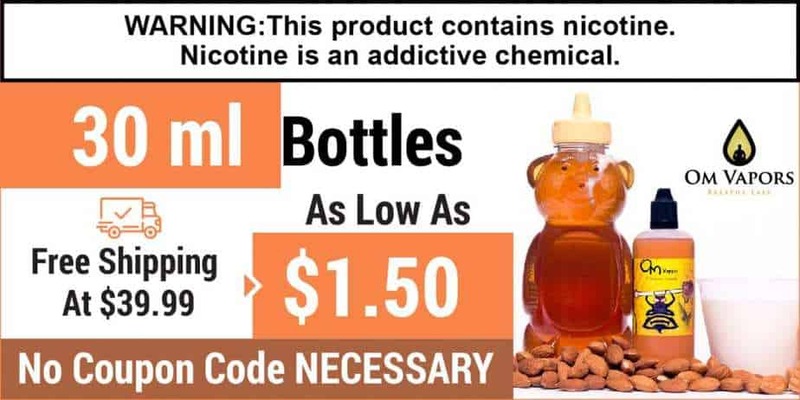 Make sure to check out this deal at Om Vapors where you can get a 30ml bottle starting at $1.50! Remember, this sale is for a limited time only and ends soon!